Donald Trump should absolutely issue 100 year bonds. Besides the advantages of pushing the rollover of bonds far into the future, the 100 year bond would give a better interest rate, would lock in a low rate over time, and be useful to companies that desperately need those bonds, such as pension funds and insurance companies. It could help the middle and lower classes if jobs were created by stimulus. 100 year bonds, which we could call very long bonds, would likely not be used as collateral in the lending and derivatives markets as collateral. In fact, I would not mind a law against using them as collateral. Certainly, collateral is in short supply. Issuing 100 year bonds would likely free up at least some 10 and maybe 30 year bonds for use as collateral. This may have a small impact on rates, but if they got out of hand the central banks could simply QE them. Most likely there would be little impact on rates, as demand for collateral remains strong. And it isn't like insurance companies and pensions would not buy shorter duration bonds. But these companies would not be forced to sell the bonds, if there was price fluctuation. They could be happy with the yields compared to what we have now for them. Banks may be interested in very long bonds in order to satisfy capital requirements under the LCR program. While governments come and go, it is likely that the US government isn't going anywhere short of world catastrophe. Bonds would not be in demand in that scenario, so it makes no sense from the government's view to not issue the very long bonds. It would help government, and people who may want to buy the bonds, and firms that are mandated to buy bonds. It could impact counterparties holding collateral some, but the amount of very long bonds could be issued in a way that controls the amount in circulation so that the counterparties would not panic. Ultimately, the government would still issue bonds of shorter duration. It would have to do so, or else desperate people may consider very long bonds as collateral and that could be a problem. It could cause those bonds to be gobbled up as all other bonds are in massive demand. Very long bonds are close to perpetual bonds, called consol bonds in the UK. Consol bonds have no maturity date and are considered perpetual bonds. Consol stands for consolidated annuities and have been issued by the UK since 1751. The track record of the UK in finance is generally prosperous, though the middle class has not done as well. At least the infrastructure is superior to ours, That alone would recommend the very long bond. The UK takes too much risk in other areas such as unlimited rehypothecation of collateral and every decade pushes predatory lending in real estate, and dominates a worldwide financial system that is not doing enough to help the middle classes in developed nations. But when I was there, I found UK infrastructure to be far superior to US infrastructure. In Japan, the idea of perpetual bonds is considered dirty money. To salve the conscience of Abe and his central bank, the 100 year very long bond could be a moral alternative. Japan has 40 year bonds, and is considering 50 year bonds. Nearly perpetual would be moral, Abe. No laws would have to be changed to up the duration to 100 years. Because 100 years is a long time, bond funds would have to be careful in using bonds they may want to sell at some point, possibly losing to par. But firms and individual families could just hang onto the bonds. The USA and railroads have issued perpetual bonds before, starting with Alexander Hamilton. It would not be unusual for them to do so again, to finance America. And if done today they would be considered helicopter money from the government. Other helicopter money can be issued to all individual citizens. It is not such an outlandish or untested idea to issue helicopter money, and could also be done by the Federal reserve bank, not the government. And helicopter money without the use of bonds but solely out of Fed money could be issued at any time to citizens or the government. 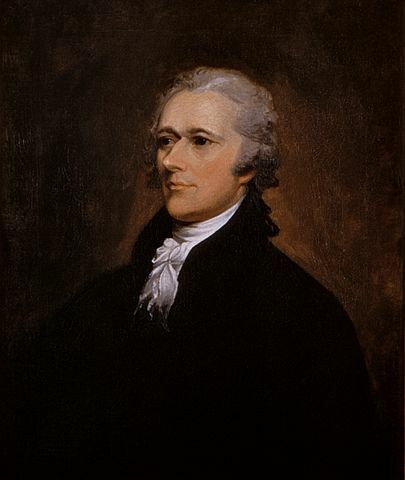 The USA issuance of perpetual bonds, starting with Alexander Hamilton, was replaced by bonds with maturities. The thinking was, a gold standard made them sound at redemption. However, with the end of the gold standard, bondholders were paid with fiat paper money and were not happy. The Supreme Court said they had to accept the money. Of course, if the rate on standard bonds with maturities is positive, the bonds will be in demand for use as collateral in lending and in derivatives clearing houses and by banks, pensions, insurance companies, etc. Those guys make loans and seek out bonds as collateral. In a negative nominal rate world, bonds in Europe have still been in demand as collateral. But it makes sense that a little rise, a controlled rise in interest rates out of the negative would have a positive effect on world finance. Very long bonds could push shorter rates up just a little bit, quite possibly. Obviously we cannot have jokers in governments in developed nations threatening to default on sovereign debt. With 100 year bonds being sensitive to idiocy, that becomes financial suicide. Will Trump have the fortitude to buck many decades of inertial to get the ball rolling in a responsible manner? The nation's prosperity may be riding on it.